This is the seventh battalion I have finished for my 12 battalion Russian division - IR Tchernigov. 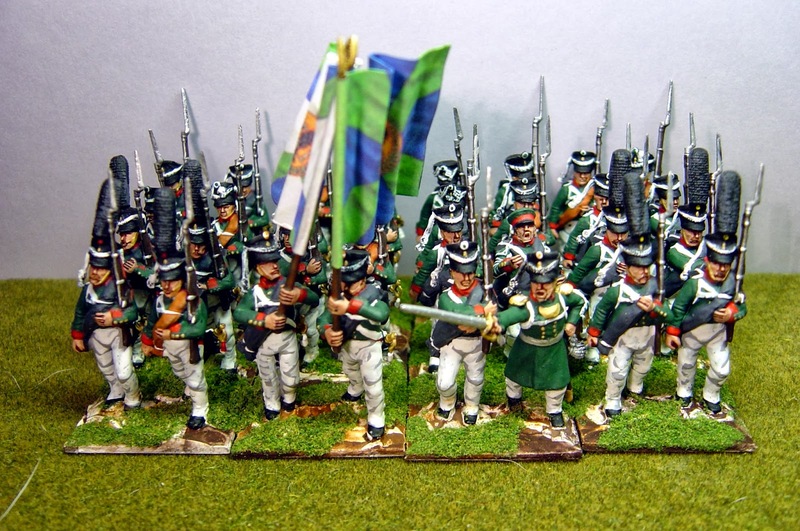 They are Perry plastics and I've given them the 1809 shako and the grenadiers have the tall busch plume. I'll finish the second battalion this month and this will complete two brigades of musketeers leaving only the Jaeger brigade to do. Then all I need to do is duplicate the Strelki platoons, paint a battery and give them some cossack cavalry. 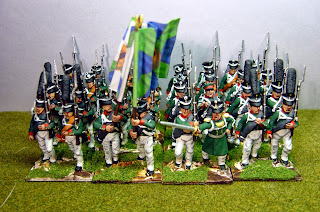 Hi Great figures, Flags supplier? but as I have had many experiences of these flags fading I scan them into my computer and print them off. But the artwork is second to none.